Imagine having your own perfume. A fragrance designed with you and you alone in mind, a perfume that will complement you and perfectly match your own individual traits and personal characteristics. Imagine creating such a perfume, and naming it with your unique registered perfume name, And being able to order your exclusive personal perfume again and again. Well that’s what these fabulous “Design a perfume” experiences offer you. As the basis of all these experiences, you’ll get to spend time with a master perfumier who’ll first entrust to you all the hidden secrets of the perfume world that you’ve been longing to know. What are the separate ingredients that go into a perfume, what do they do, how is a perfume created, why do some perfumes suit you but not others, why some perfumes will last and others won’t, how to select just the right fragrance for you. Then armed with this knowledge, you and the expert will design and create your own unique perfume by blending ingredients from the basic 18 key constituents. You’ll give your perfume its own unique name, and finally take away with you an atomiser of your personal fragrance and the secret recipe needed so that you will be able to order refills of your own creation in future. Some experiences give you time alone with the perfume consultant, others let you join a group, so check out the details to make sure you’re getting the type of session you want. The other perfume experiences all build on this, offering longer with the perfumier, or giving you a double session so you can take a friend and make it into a fun day out. Or perhaps offering a greater range of products perfumed with your own designer fragrance to take away with you. 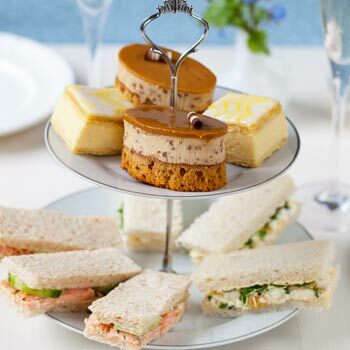 You can even build the creation of your individual perfume into a luxury session with an exquisite afternoon tea at a top hotel to make it even more of a pampering event. It’s all up to you how you want to tailor your perfume experience, so check out the perfume experiences to see what extras you want. Some of the top range ones are only available in London, but great experiences to create your own perfume are widely available in many locations throughout the UK, so there’s almost sure to be one near you. What are the cheapest perfume experiences? We’ve brought together for you all the perfume design courses from the top experience providers, and our real time price checker keeps you up to date with the very latest prices and special offers as they come available. Just click on the links to check out the details and locations of the ones you fancy and you can buy there and then knowing you won’t buy cheaper. You’ll have given women perfume before – who hasn’t? – but imagine her delight as she discovers this unique opportunity to design her very own special individual perfume! What woman wouldn’t love the chance to design, create and name her own fragrance, tailored specifically to her needs, unique to her, and that she knows is worn by nobody else. If that doesn’t make her feel special, we don’t know what will! !